Click for more information about our Imported Coloured Steel Modular Fencing. Colorbond fencing panels includes posts, rails, sheets and screws (concrete also available at extra charge). 5 different heights available. Click for more information about our Australian Colorbond Steel Modular Fencing. Our standard size panels will save you $$$. Click for more information about our Pool Fencing and Gates. Ideal for around commercial facilities, schools, and areas that need that extra security. Click for more information about our Garrison Security Panels. For the more traditional look. Kits include Posts, Rails, Palings, Capping and Nails (concrete available at extra charge). Click for more information about our Pinelap Fencing. Galvanised and coloured. 1.5mm thick. Many different sizes available. Cheapest prices in Perth. Click for more information about our Steel Tubing. Click for more information about our Temporary Fencing. Sheeted gates with Colorbond surround or tubular type gates. Kits include prefabricated gate panel, posts, D-latch, hinges & screws. Click for more information about our Colorbond Steel Gates. Click for more information about our Palisade Fencing. Click for more information about our Installation. 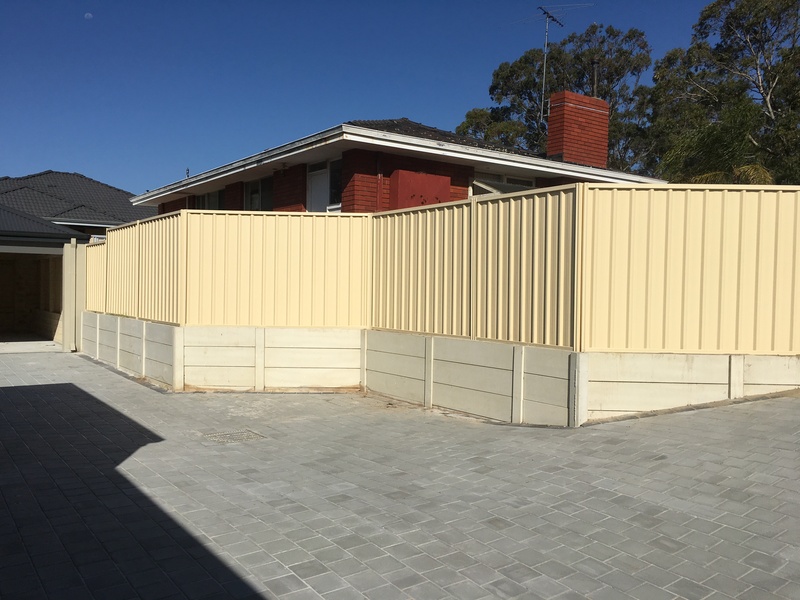 Plinths are the perfect product for filling unsightly gaps under Colorbond fences. Click for more information about our Steel Pre-Painted Plinths. Click for more information about our Lattice. Do you need to core drill a wall. We have budget priced core drills and barrels to make that project easy. Click for more information about our Core Drills.